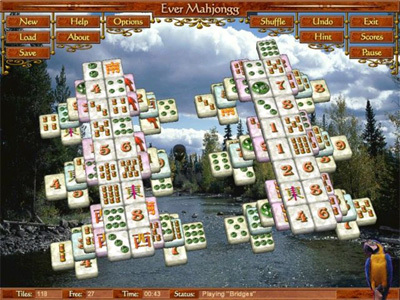 Ever Mahjong is a new genuine 3-dimensional Mahjong sequel. User friendly interface, relaxing atmosphere, highly adjustable game field and background distinguish this game from others. As water polishes stone with time, making it more smooth, as human mind advances the ancient China game - Mahjong, making it to perfection, better and deeper. Having evolved from domino game and several card games, Mahjong becomes most popular mind exercise and relaxation until nowadays. Try online gaming at TerraGame!